God bless y’all (your little princess as she reaches that milestone and makes the transition to big-kids school, and her parents while advancing and learning how to be the best parents you can be to her in her new life context each year). And good luck with your research tasks; may your efforts nurture completeness in your dex. Good luck everybody, may the shiny odds be ever in your favour. It was a good one, got 9 Shinys, 8 Bagon & 1 meditite. 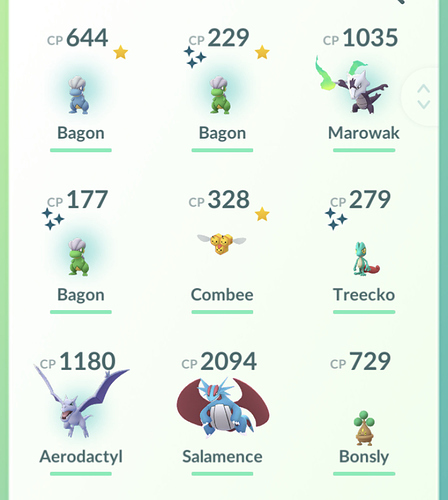 I had a nice Community Day. 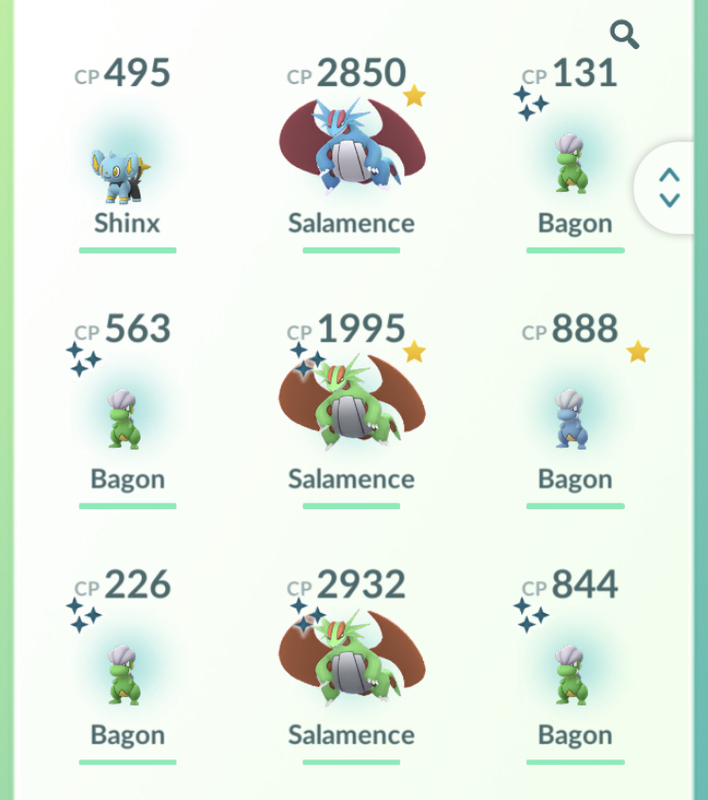 I caught 10 shiny Bagon, even a 91% shiny one. Also caught a 919 CP (98 %) Bagon and two 96%. I can’t complain. 11 Shiny, none of them special. Did a lucky trade, shiny for shiny, got a 96% 14 Attack. 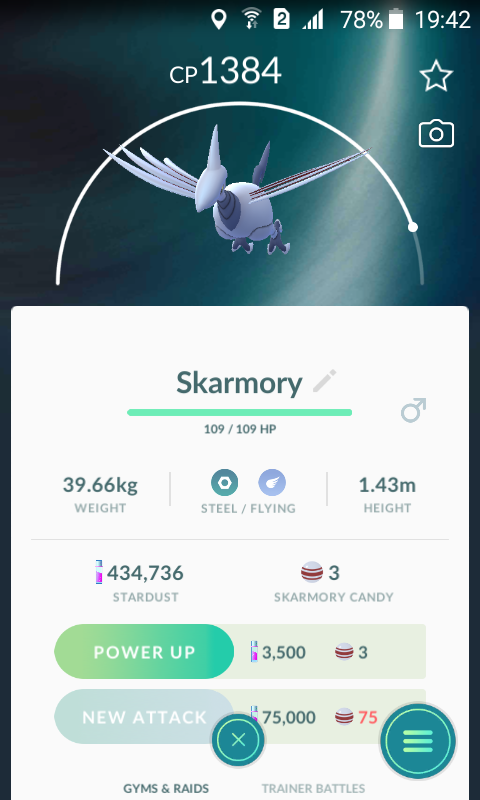 Decided to evolve that despite the 14 attack stat. Evolved 4 more shinys to lucky trade later on. Also traded a few normal ones with a friend, ended up with a 96% 15 Attack normal and 93% 15 Attack lucky. So not to bad at all. 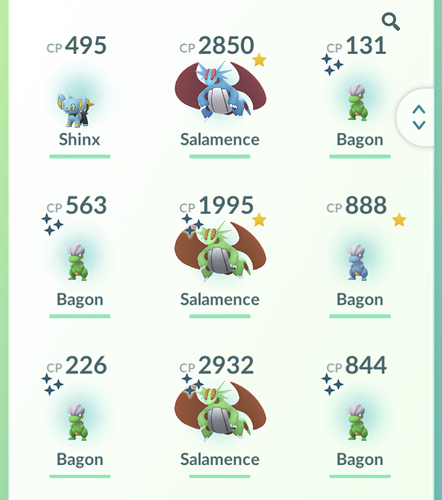 282 Bagon here, with 13 Shinies. That is including a Shiny lose (I got knocked out of the game in the very first minute of the event right when I encountered a Shiny, and when I opened the game again it was gone🤦🏻‍♂️). Can’t complain though. Sadly there weren’t many high IV Bagon. I never count how many I catch but I got 8 shiny bagon + 1 shiny shellder. And I traded a shiny and it became 98% but with 14 attack unfortunately. I got another 98% with attk and def from trade aswell, nothing good IV from the event though. I evolved about 6 Salamances which I’m going to trade when Lucky friend update comes out to get some good IV ones hopefully. Completelly forgot the bagon event, but at least I found this Skarmory so its all good. It was ok. I got one Shiny and called it quits because I was still recovering from the worst bout of gastroenteritis in a very long time. Over 450 Bagon Caught, 16 shiny, one regular with 96 IVs. Got a lucky 96 from trades. Had a 96 and a pair of 98s waiting for today, all evolved today. I’d call it a great success! Nice haul, y’all. Mine was satisfactory, but much smaller – about 100, overall, including few decent ones, but mostly transfer fodder. A couple of decent shinies and several pathetic ones (one even had a 6 IV). The normal Bagon I evolved into a Salamence wound up being a 93 I caught in a raid last week. Needing a little break about halfway through, I raided an Alolan Raichu, and then a Gengar and a Giratina, which I thought would be the perfect way to end the day (with time to eat, assess, and evolve without feeling rushed). Hope you feel better soon, @Arem1771.